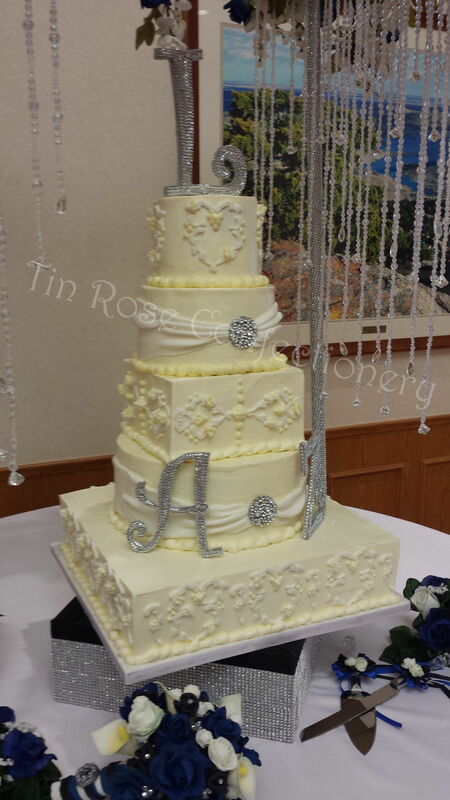 This sophisticated and very elegant wedding cake features five alternating square and round cake tiers that are decorated with fondant scroll work, buttercream accents and fondant wraps. 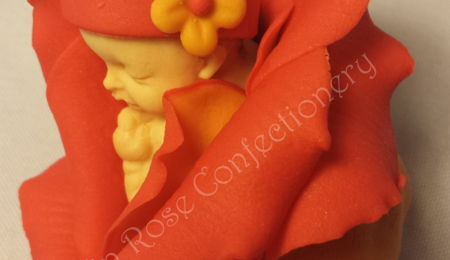 Rhinestone accent pieces were added to the fondant wraps and I made the monogrammed pieces using scrolled wood work and self adhesive rhinestones. 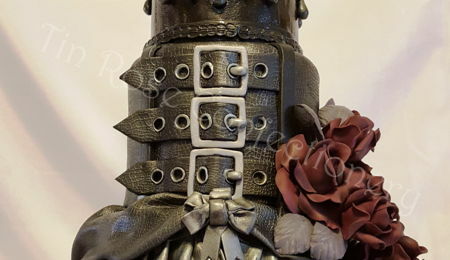 I also made the cake arch using PVC piping that was spray painted metallic silver and hot gluing cake gemstone accents to the legs. 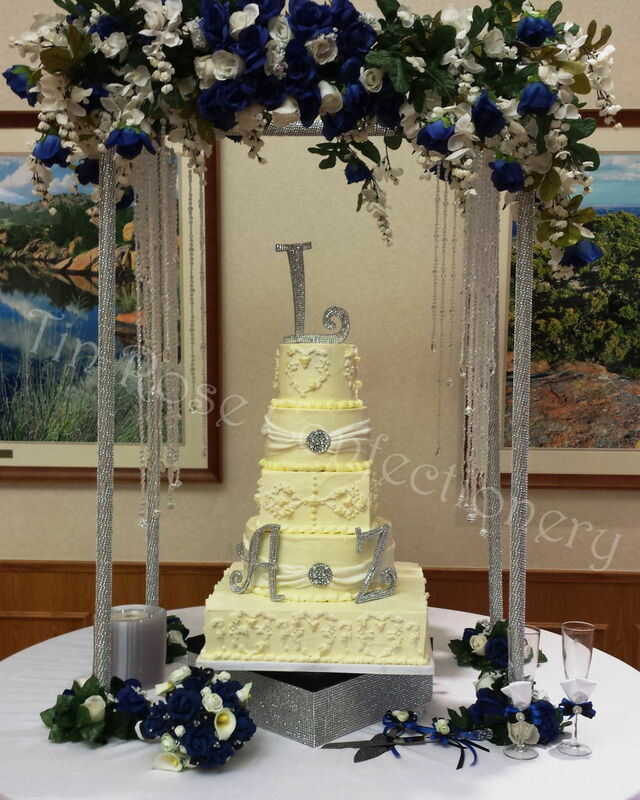 The beaded curtain that flanks the sides of the cake arch were hand strung using fishing line and plastic beads. 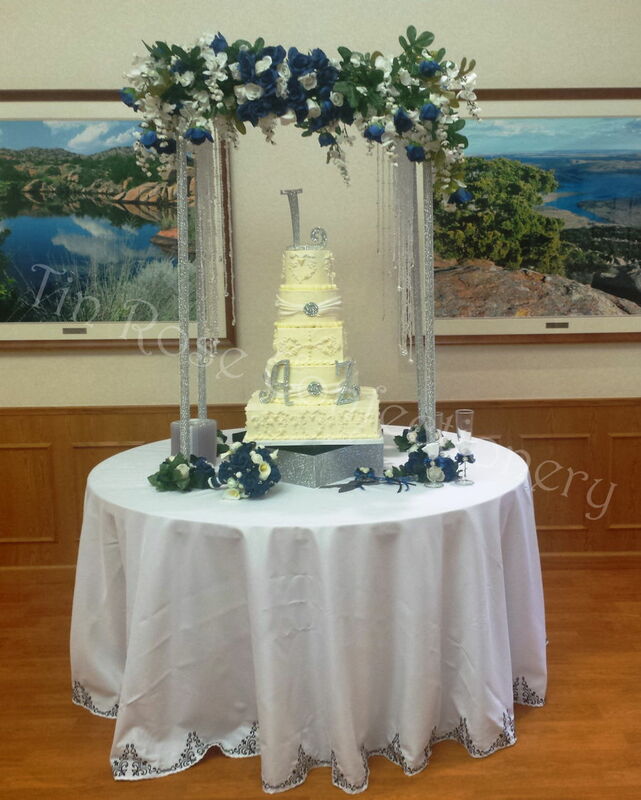 On top of the cake arch I placed white wisteria with blue and white roses. 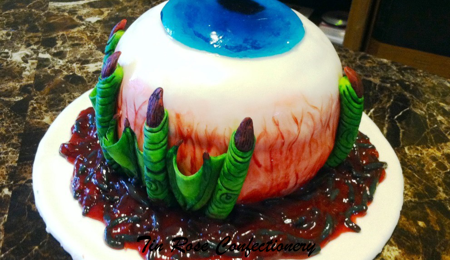 To finish off the piece I placed a ring of blue and white roses around each leg. 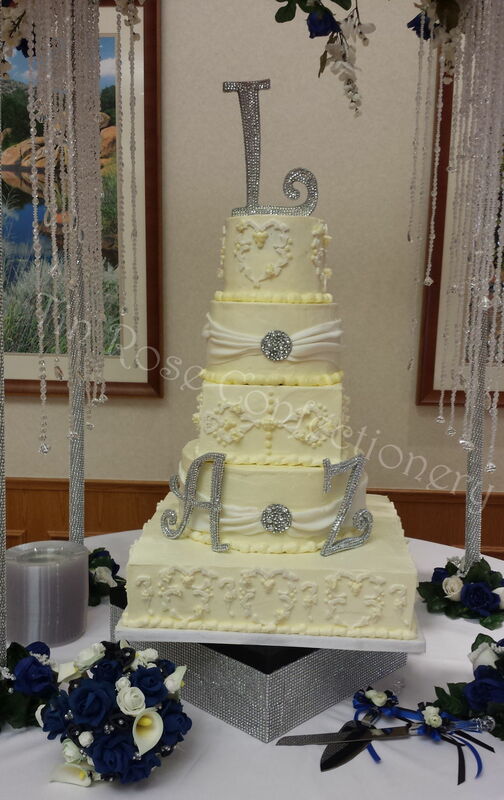 This beautiful cake is offset on top a wooden reinforced stand that was also spray painted metallic silver and covered in the same cake gemstones that I used on the legs of the cake arch. Although the cake arch, cake and sugar flower bouquet made for a beautiful table setting it wouldn't have been complete without the elegant tablecloth that was embroidered by the bride’s grandmother.